Please ensure you have used our size guide below and measured your dog correctly before ordering. 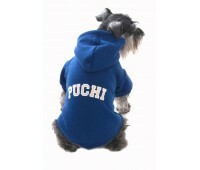 The ever popular Puchi cuddles hoodie. 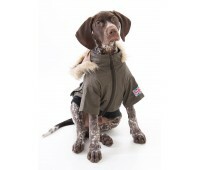 This fleece lined hooded top is great for keeping your pooch warm, but also very stylish! 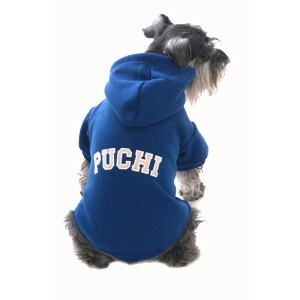 Unique to Puchi Petwear! 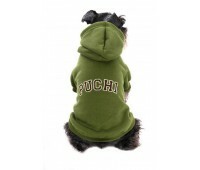 This cosy hoodie has a drawstring hood and is available in Red, petrol blue, army green and Pink. This updated design also has a popper on the hood. 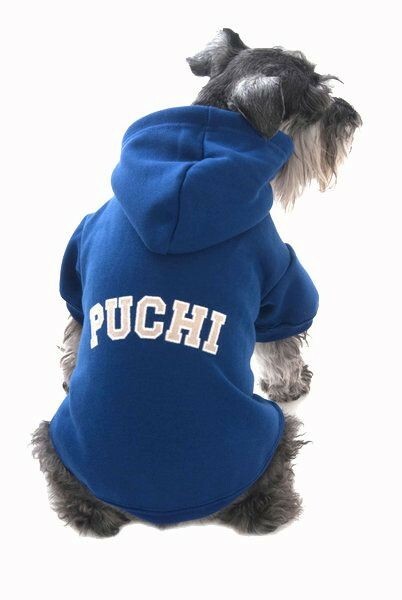 Puchi dog clothing is seen on many celebs pooches including Sharon Osbourne, Scarlett Johansan, Charlotte Church, Caprice, Katie Price to name but a few!